With the holidays just around the corner, it’s definitely time to get down to business and complete our gift shopping. After all, as much as we love to receive presents, we enjoy spoiling our loved ones, too. From luxury handbags, stylish clothing picks, chic footwear options and more, the sky is the limit for scoring a fashion-forward find. While it can be hard to zero in on the perfect gift, Zappos is making our shopping journey an easy one. As one of the top retailers for trendy and classic finds, Zappos never disappoints. The retailer always has an updated lineup of the most popular brands to keep Us ahead of the fashion game. In the spirit of the holiday season, Zappos has created a 21 Days of Giving list. That’s right! A trendy countdown for the most wonderful time of the year, this list is made to suit the needs of any fashionista. The Advent Calendar is full of must-have essentials we will appreciate. With every day that passes by, we can look forward to the big reveal of this season’s hottest essentials. While we can make a pretty good guess of the stylish finds on the calendar, we know without a doubt that we will be shopping some of the very best deals that will allow Us to save big this season. If you’re ready to start your holiday shopping today, the Clarks Hope Track shoes are the fourth highlighted pick on the list. See It: Check out the Zappos Advent Calendar to shop the most fashionable picks for your loved ones this season. Boasting a rich and supple leather upper, these boots are the luxurious creation almost any fashionista would love. Blurring the lines between comfy flair and unique styling, this construction is unlike anything we’ve ever seen. Designed with a rich and supple leather upper, this essential sets the tone for a luxurious vibe. Crafted with the signature Clarks Cushion Soft padding this style offers the maximum level of comfort for all-day wear. The OrthoLite footbed is also a plus for providing an even surface with great arch support. We also love that its durable rubber outsole can be worn on almost any surface for great traction. The soft fabric lining and inside zipper come together to provide a seamless fit. Made with versatility in mind, the minimalist style will certainly mix and match with our chilly weather wardrobe for an instant staple. We have a thing for the black leather design. An easy-to-wear color that can complement our no-fuss wardrobe seamlessly, this style is definitely a go-to for those who love a dark-hued boot. If you’re like Us and love an earthy tone, the mahogany leather style will suit your needs. Every now and again it feels good to give our classic style a break and these boots are the trendy alternative our closet needs. Normally retailing for $140, we can now scoop up this essential at a sweet 50 percent off markdown, leaving Us with a $70 price tag! Affordable and trendy, it feels good knowing that we can snag a chic find without having to leave a major dent in our wallet. 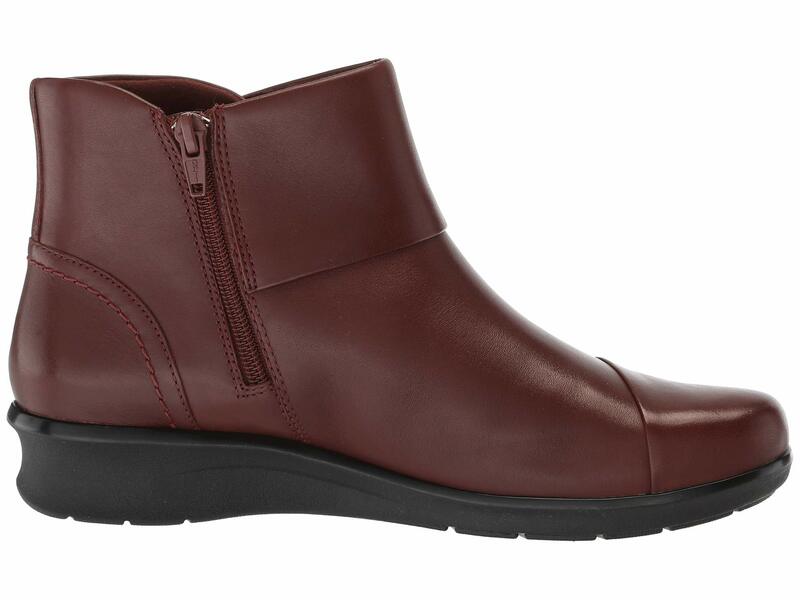 The comfortable fit and top-quality construction make these boots a winner with Zappos shoppers. Many reviewers love its stylish appeal, while others appreciate its neutral color options. Dubbed as a great staple for walking around the city, we can’t go wrong with adding this pick to our gift giving list. 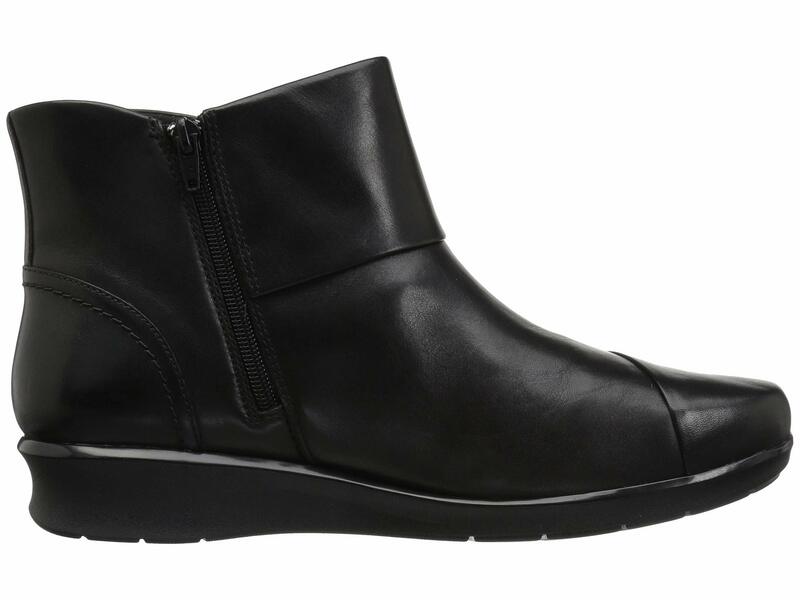 A functional design that will bring our casual and relaxed ensembles to life, these Clarks will look amazing with skinny jeans and an oversized sweater for a winter-ready look. We can even switch it up with a chic sweaterdress and an elegant top coat to cover all the bases. No matter how we decide to step out with this durable boot, we can always count on making a chic statement. Thinking of a different style? You can be sure that the Zappos Advent Calendar will feature a medley of fashion-forward finds. With the cozy-weather season in full effect, we can bet that there will be a nice variety of styles to bring our wardrobes to life. Whether your loved ones could use a proper wardrobe upgrade, Zappos will come in major clutch this holiday season. Keep in mind, each product is only available for its sale price on its special day. So, if you’re determined to knock out your holiday shopping with instant savings, Zappos is the way to go!